Think about all of the places, events, and types of people who have entrance music. What would be your entrance music? What do brides, WWE wrestlers, political candidates, and sports teams have in common? They all have an entrance song! Virginia Tech football fans feel their hearts beat faster as Enter Sandman begins to welcome their team. People know to stand with the opening lines of Wagner’s Bridal Chorus (you know, “Here Comes the Bride”), to welcome the bride. In WWE wrestling, there has long been a tradition of entrance music for the different wrestlers. A match between two characters can be going on, the bad guy seems to be winning, and suddenly, you hear the opening bars of . . . wait, who’s that? A good guy comes to save the day. Dramatic entrances are part of the excitement. In a very different way (or is it), political candidates use music for their entrance and to set a tone at rallies. Presidential candidates have often used theme songs for their campaigns. However, particularly in recent years, musicians have objected to candidates using their songs either with permission or because they don’t like the candidate. A Rolling Stone article notes that candidates on both sides of the aisle have been involved in these disputes. Musicians object because it seems like an endorsement of the candidate and what they stand for, even subconsciously. 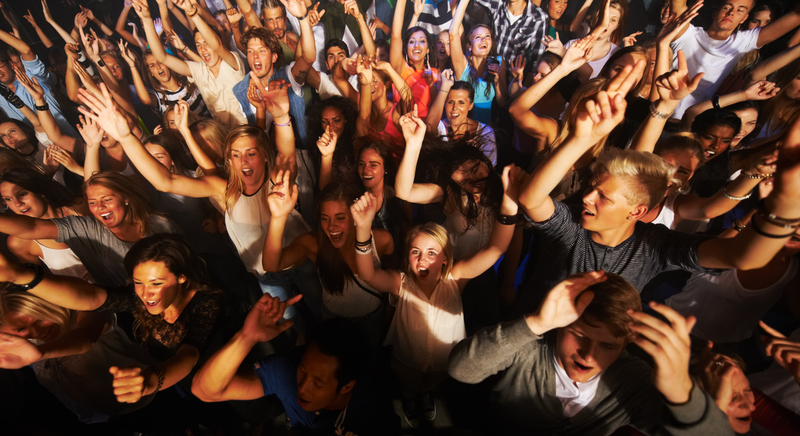 However, there is often little legal action that artists can take, as long as the venue has a license to play music. 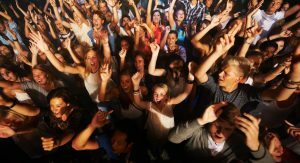 The article notes that the entrance music often happens unintentionally, with a junior staffer who’s making the playlist just thinking of what songs are cool or what will pump up the crowd. What’s your favorite use of an entrance song? How does entrance music affect people? What do you think about the use of popular music by sports teams or political candidates? Should an artist be able to restrict the use of their music? At most churches on Palm Sunday, people receive palm fronds, and the worship and music includes “Hosanna,” which we associate with Jesus’ triumphal entry into Jerusalem. But did you notice that neither appears in Luke’s version of the story? No palms are mentioned, but people spread their cloaks on the ground in Jesus’ path, and the crowd’s excitement and shouts of joy raise the concern of the Pharisees. A “multitude of the disciples” shouts, “‘Blessed is the king who comes in the name of the Lord! Peace in heaven, and glory in the highest heaven!’” (Luke 19:38) as Jesus enters Jerusalem. This echoes the “multitude of the heavenly host (angels), praising God and saying, ‘Glory to God in the highest heaven, and on earth peace among those whom he favours!’” from Luke 2:13-14. Some parents have a special song for their child, that they sing to them, or play for them, from birth onward. Many families and friends have special ways of greeting each other that are specific to the person and create a bond over years. These words of acclamation are Jesus’ entrance music. It’s a riff on the same song that has been sung since his birth. Crowds, both heavenly and human, have gathered to praise God, welcome Jesus as divine, and proclaim peace. Jesus knows that this music and the praise of the crowds does not mean that his path will be easy. He knows his welcome into Jerusalem is a path to the cross. The objection of the Pharisees is essentially, “That’s our song! You can’t say that!” They object to the use of these words of acclamation that they believe are reserved for the Messiah. Like musicians objecting to the use of their music, they object to the crowds’ calling Jesus “the one who comes in the name of the Lord.” But there is not anything they can do to stop the crowds. Not only is the energy of a crowd a powerful force but, as Jesus says, if the people didn’t, the rocks themselves would shout. Palm Sunday worship and this coming Holy Week remind us that Jesus doesn’t stay at the high point of his entrance. We know that the same crowds that laid down their cloaks for Jesus will shout “crucify!” and not risk objecting when Jesus is stripped of his clothes, humiliated, and hung on the cross. But Jesus’ entrance song, “blessed is the one who comes in the name of the Lord, peace to God’s people on Earth” still hangs in the air today – and is still sung in worship. It reminds us that nothing, not even death, keeps God down, and these words tell us the end of the story. Do your family and friends have any long-held tradition of how you greet each other? Does that set a tone for how you interact? Has anything ever been done in your name that you’re not comfortable with? Knowing the full story of Jesus’ birth, ministry, death, and resurrection, what do you think should be Jesus’ entrance song? Would the artist/musician object? If Jesus was coming to speak at a big venue today, how would you imagine his entrance? Humble, exuberant, or somewhere in between? Discuss what Jesus’ entrance song would be today. Play or sing some of your ideas to each other. In small groups or pairs, imagine and act out Jesus’ entrance to a crowd with fitting music. God of grace and power, for the sake of us and all creation, you came boldly through shouts of welcome, knowing that your cross lay ahead. Help us to greet one another with peace, welcome you into our community, and look for you in our everyday lives. Amen.